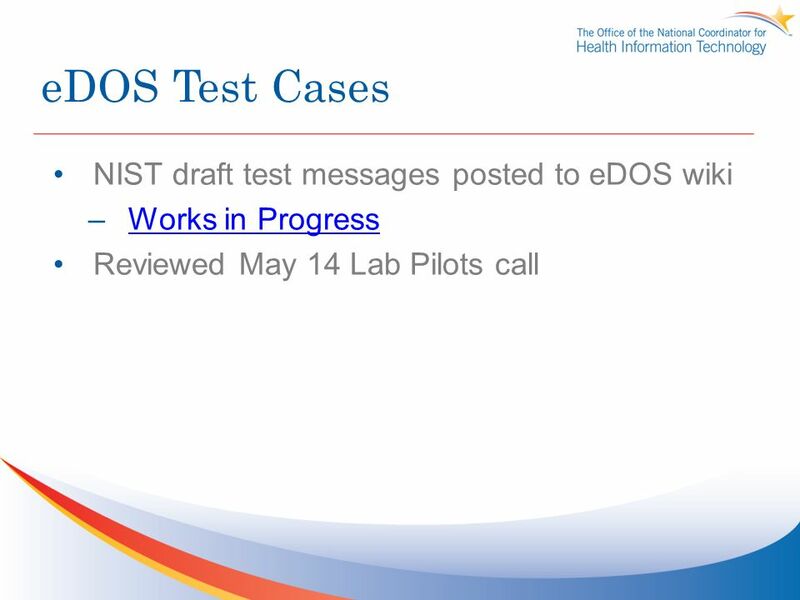 EDOS Workgroup Update June 4, 2013 Laboratory Orders Interface Initiative. 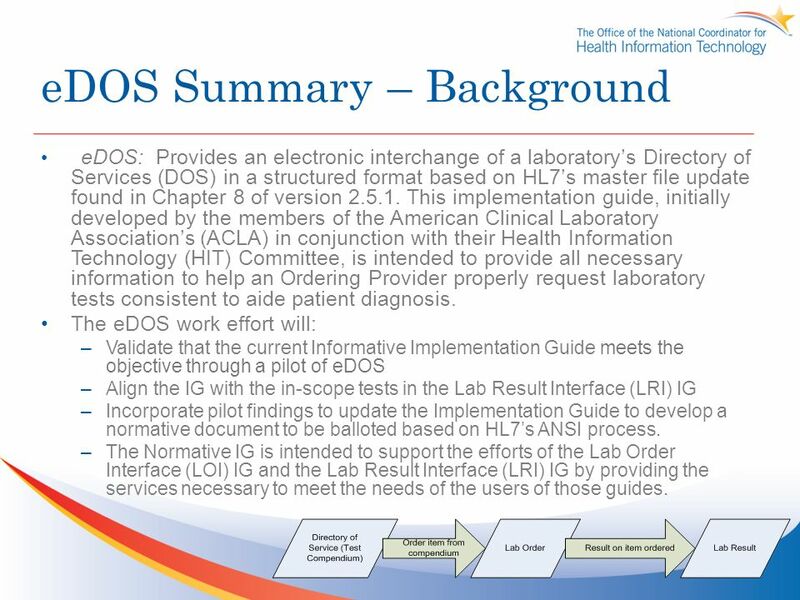 4 eDOS Summary – Background eDOS: Provides an electronic interchange of a laboratorys Directory of Services (DOS) in a structured format based on HL7s master file update found in Chapter 8 of version 2.5.1. 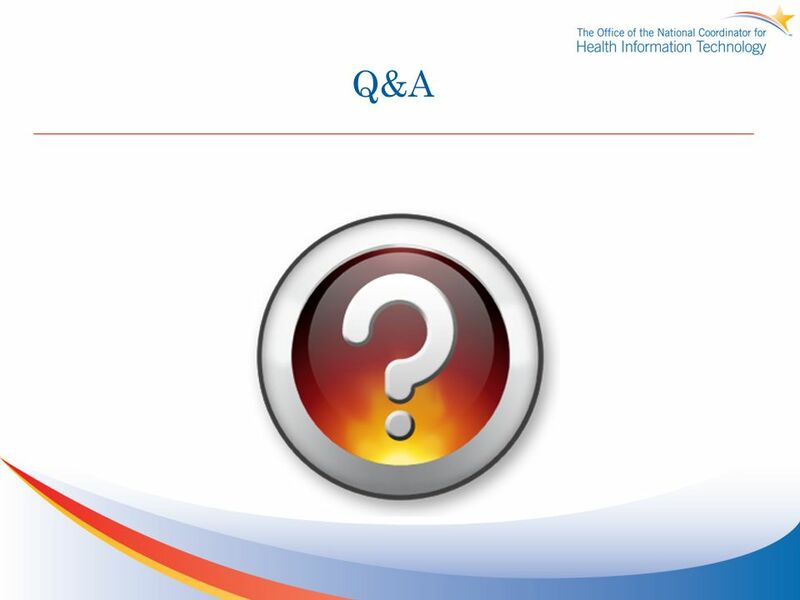 This implementation guide, initially developed by the members of the American Clinical Laboratory Associations (ACLA) in conjunction with their Health Information Technology (HIT) Committee, is intended to provide all necessary information to help an Ordering Provider properly request laboratory tests consistent to aide patient diagnosis. 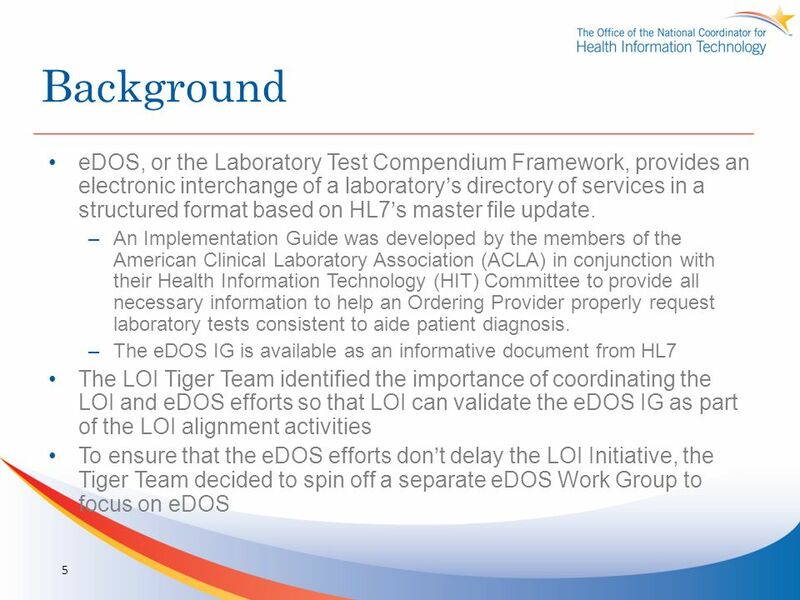 The eDOS work effort will: –Validate that the current Informative Implementation Guide meets the objective through a pilot of eDOS –Align the IG with the in-scope tests in the Lab Result Interface (LRI) IG –Incorporate pilot findings to update the Implementation Guide to develop a normative document to be balloted based on HL7s ANSI process. 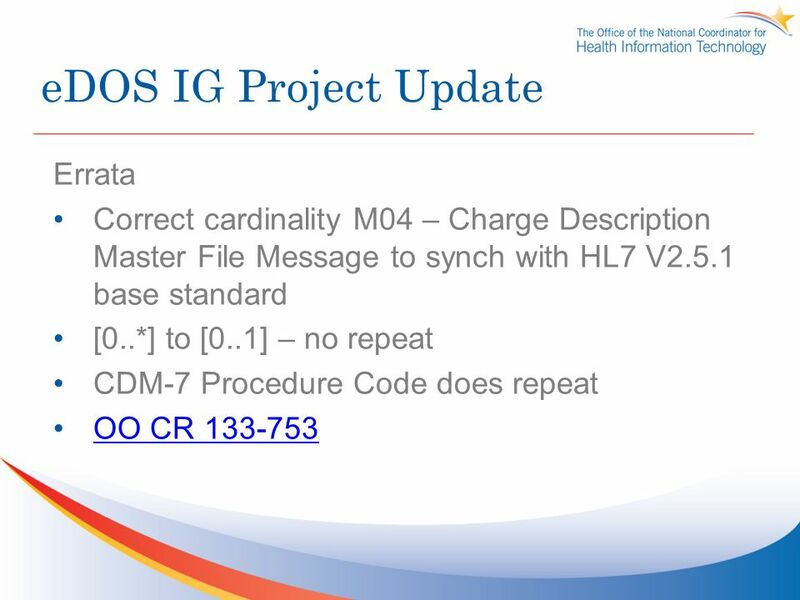 –The Normative IG is intended to support the efforts of the Lab Order Interface (LOI) IG and the Lab Result Interface (LRI) IG by providing the services necessary to meet the needs of the users of those guides. 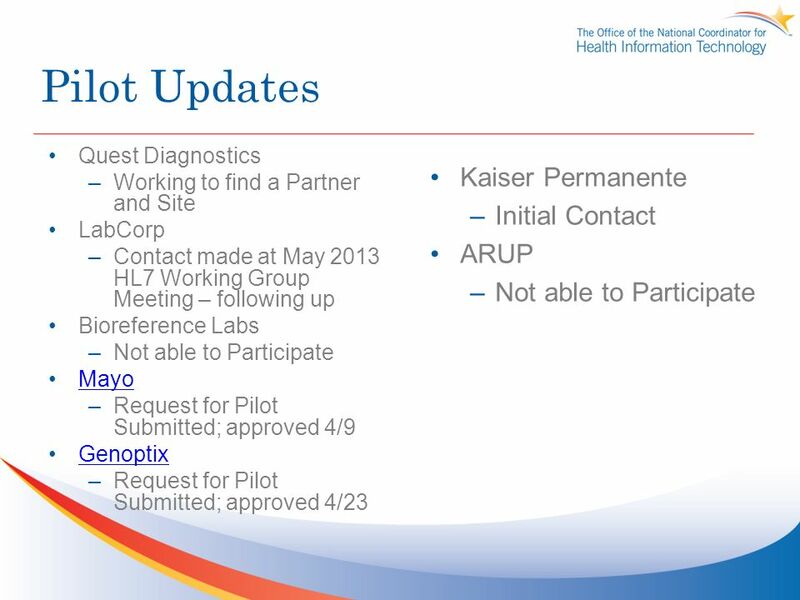 Download ppt "EDOS Workgroup Update June 4, 2013 Laboratory Orders Interface Initiative." 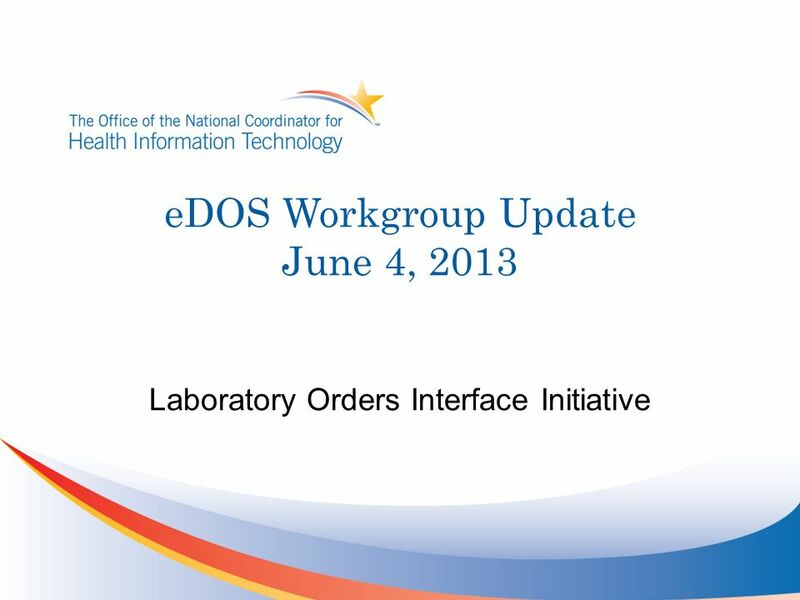 EDOS Workgroup Update July 16, 2013 Laboratory Orders Interface Initiative. 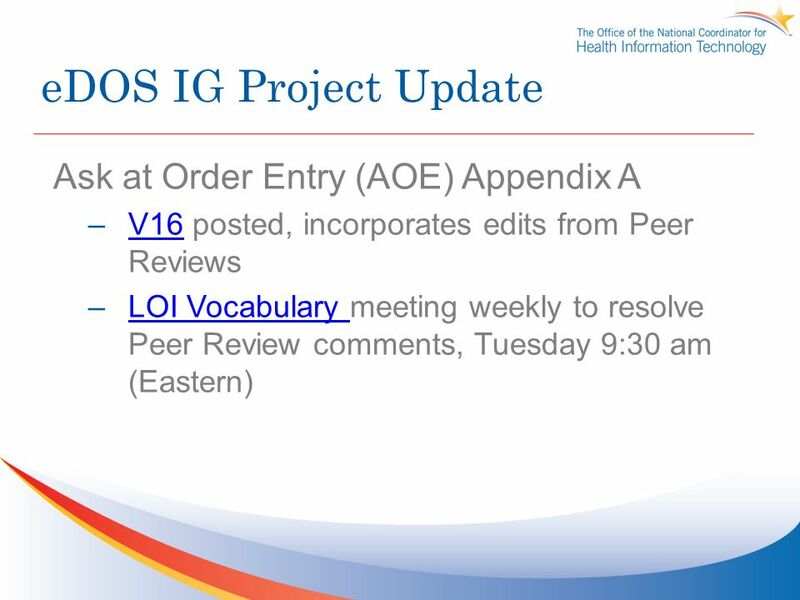 EDOS Workgroup Update Laboratory Orders Interface Initiative. 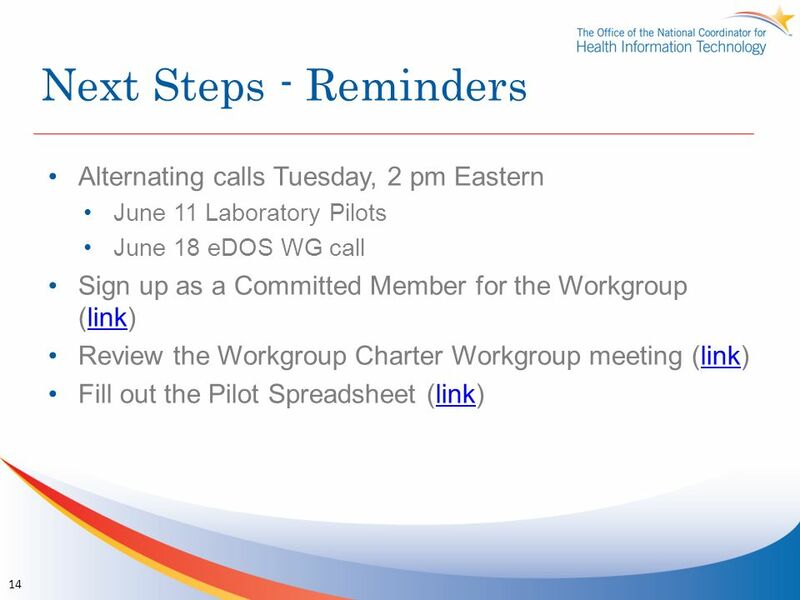 EDOS Workgroup Update June 18, 2013 Laboratory Orders Interface Initiative. Blue Button+ Initiative Payer Workgroup Meeting January 10, 2014. 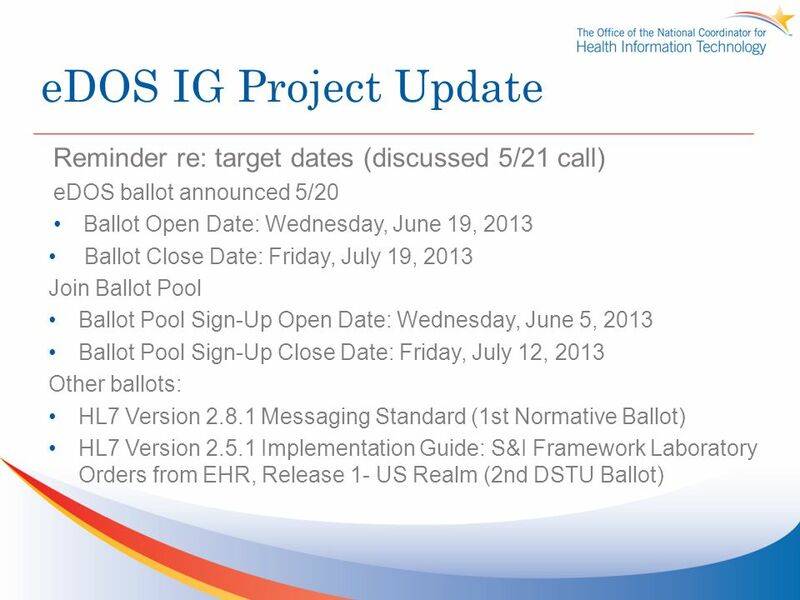 S&I Framework Laboratory Initiatives Update June 6, 2013. 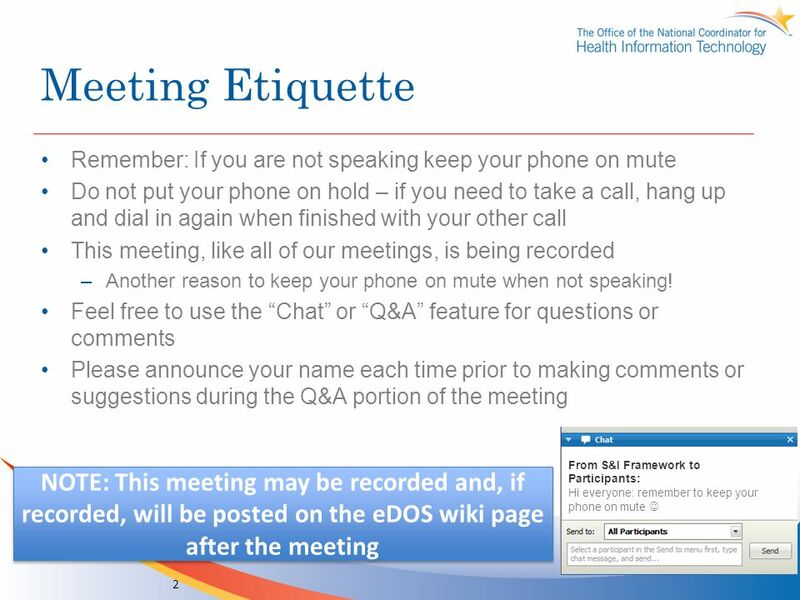 Electronic Submission of Medical Documentation (esMD) AoR L2 Harmonization June 19, 2013. ELTSS Plan Content Sub-Work Group Week 10 Meeting July 7, :00am–12:00pm 1. ELTSS Plan Content Sub-Work Group Week 7 Meeting June 16, :00am–12:00pm 1. 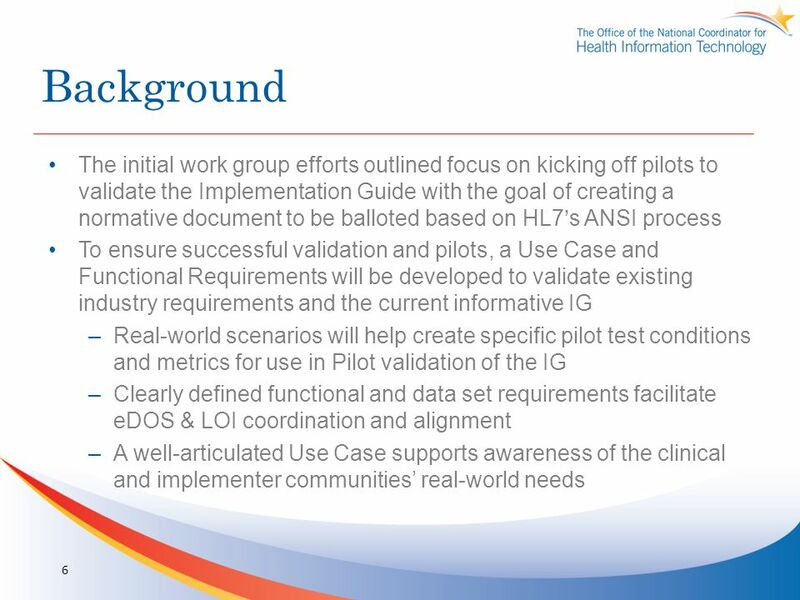 Longitudinal Coordination of Care Pilots WG Monday, March 10, 2014. 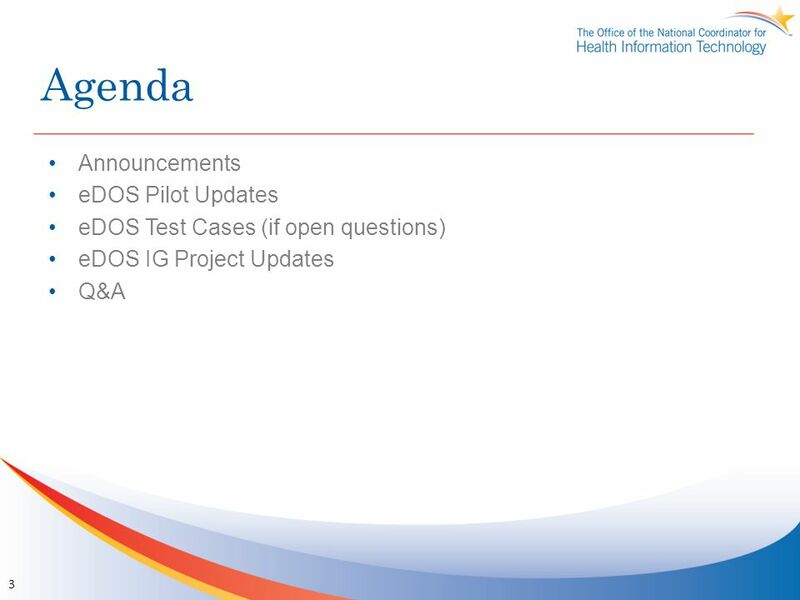 Standards & Interoperability (S&I) Structured Data Capture (SDC) Forms Sub Work Group (SWG) Weekly Meeting (#2) December 18, 2013. 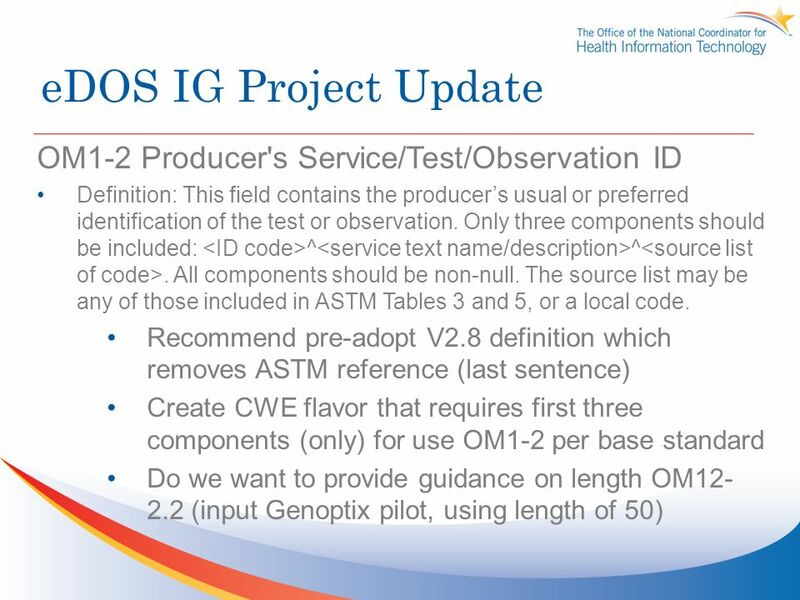 EDOS Workgroup Kickoff Laboratory Orders Interface Initiative. Automate Blue Button Initiative Push Workgroup Meeting January 7, 2013. EsMD Structured Content Use Case 2 WG Meeting Wednesday, April 25 th, 2012. Electronic Submission of Medical Documentation (esMD) Electronic Determination of Coverage (eDoC) Home Health User Story February 4, 2015. 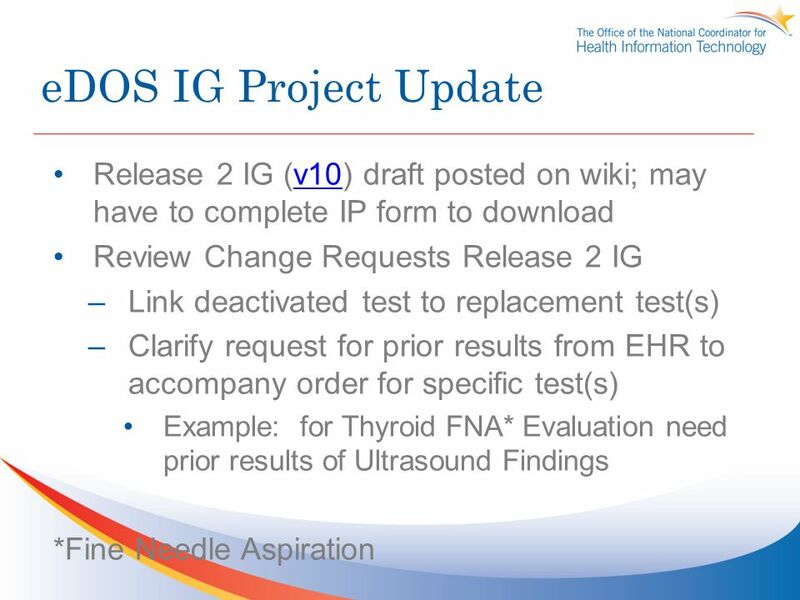 Electronic Submission of Medical Documentation (esMD) Author of Record Recap and Harmonization of UC 1&2 Workgroup Friday, November 2, 2012 1.